What better way to enjoy a beautiful day with friends, than fishing? 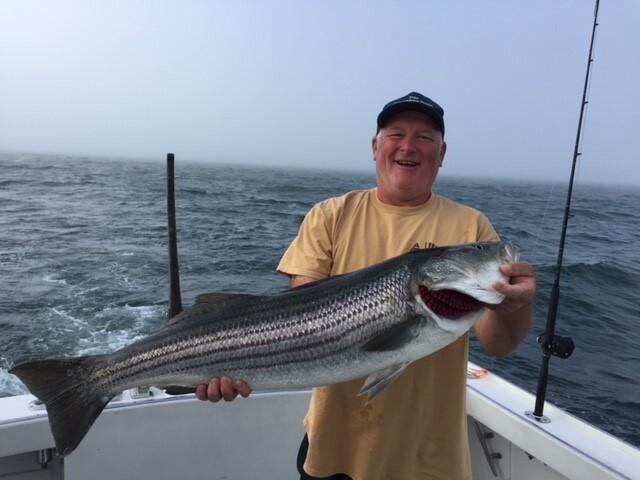 There are many puns that claim fishing isn’t catching, but a group of friends proved all the fun is in catching fish! Their story of what they did on their summer vacation, along with pictures as proof, doesn’t include your typical “fish story”. 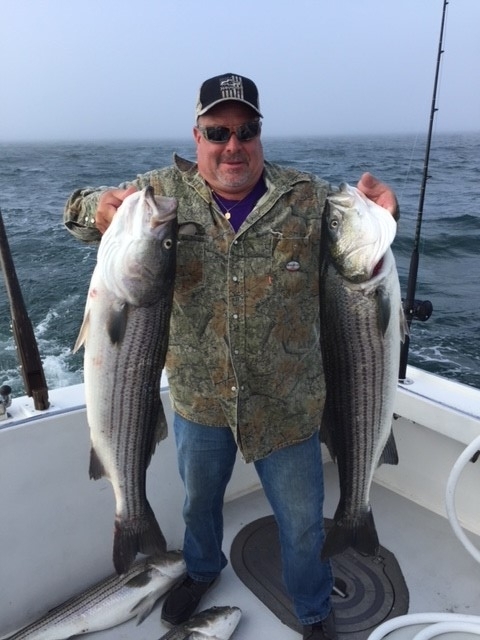 APM Superintendent, Mike Ornoski, GE/FC Field Engineer, John Dvorski, and APM Keyman, Tom Hitchock, hopped aboard John’s boat and set out in search of striped sea bass and fluke in Massachusetts’ Cape Cod Canal. Their fish stories will be something to brag about for years to come.